Everybody needs a testimony. That is the often repeated or assumed truth in the churches today. Sometimes it can be helpful, but other times it can be divisive. The church can benefit from a testimony to the work of God in an individual’s life in terms of seeing the grace of God in Christ in a dramatized way. Other times a testimony of dramatic deliverance from the fires of hell and the fingers of the devil can be a hindrance to the church. The reason being is several. It has become a new sacrament, or a new mode of worship and evangelism. Testimony is not a uniting sacrament, like the Lord’s Supper in which all people great and small commune with Christ; rather, it is a sacrament that divides because everybody has a different background. The underlying assumption is the greater the testimony, the more useful one is to the church. Thus, if one has a poor testimony, one will have a to be serving in the confines of the less showy parts of the body. This breeds disunity, jealousy, and a culture of elevating sin since there is no testimony without sin. These things aside, the testimony culture is unbiblical. Biblical usage of the term testimony refers to the bearing of witness in court to mankind of what an eyewitness witnessed. The eye-witnesses were the Apostles. They testified, not to themselves but to Christ. The issue with the testimonies we often hear in churches is their subjectivity. They are about me. They are not objective, about Christ. They are not Apostolic, never authorized for worship services by the Apostles, and as we saw above they are unhealthy for the church. Where did they come from? The time during which testimonies came into the church was relatively recent. They seem to come up during the second great awakening, especially. I think two larger cultural trends can explain why the testimony has become a standard feature of pop-Christianity. First, the rise of scientism (that is, scientific inquiry in service of the hegemonious religion of modern naturalism), required Christian to reason with both the findings in the natural world and the apparent contradictions with the faith. An easier way than humbly engaging the sciences (if that was one’s vocation) was to appeal to a personal subjective emotional event or crisis moment in which one was delivered from sin or situation. How can one deny the circular reasoning on scientific grounds? The testimony is the new apostolic sign gift, and functions to confirm the truth of the faith to those who are outside. The only problem is that there was no Apostolic authorization for such. A second cultural trend is the rise of revivalism. Revivalism was the movement of mid-eighteenth through nineteenth century American Christianity where new measures were taken to grow the churches. These new measures moved away from worship, catechism, baptism, and church membership confirmation by the sacraments toward the new measure of the revival meeting, special music, testimonies, and the altar call. It is sort of like slow cooking versus fast food. The goal was instant conversion in the moment, rather than education, prayer, and passive reception of salvation by the power of God in the context of the ordinary church service. Interestingly, old school Presbyterian and reformed confessional folk during the age of the revivals were against the new measure of personal testimony. They argued that it was something that the church could neither verify (anyway) and went beyond the limits of human knowledge to confess before men. They considered airing the dirty laundry of an individual before the congregation unnecessary to the salvation of the individual’s or the congregations’ souls. Rather they relied on if they could confess the amen to the doctrine of the Gospel today. In contrast the revivalists believed the testimony was necessary and beneficial for the mission of the church. It has been a staple in American Christianity since that time. In fact, when I was ordained, I was asked the question both in the committee exam and on the floor of presbytery about my personal conversion testimony. I confessed that today I believe in Jesus and embrace him wholly as he is reveled in the Gospel, as understood through the lens of the reformed and catholic creeds and the confessions (as a faithful summary of the Gospel). Some presbyters resonated with the old school method, others were confused and probably still doubt that I am at all beyond dead orthodox, most were pleased to not have to hear a drawn out airing of dirty laundry before the presbytery. The tension, even in a reformed denomination, is palpable because the personal testimony has been so entrenched into the culture of Christianity since the age of revivalism. The real truth the church needs is the objective word of truth about Jesus’ incarnation, life, death, burial resurrection, ascension, and return offered to us freely as a substitute and savior from sin and all of its affects. What we need is not the individual testimony (especially of a new and naïve believer). Subjective experience drives the church today, but the objective truth of the Gospel must win out. Our emotions, which are real, and which must be engaged in true religion, though, must be put in their proper place. To avoid manipulative and emotive circular reasoning the church must recover the objective work of Christ first. Second, We must recover the doctrine of Scripture. This testimony is recorded in scripture, which is outside of us, and does not change, and is objective. Third, we must recover the internal testimony of the Holy Spirit. The Spirit causes the Christian to know God (Father and Son). He is the Spirit of God, who knows the Father and the Son, and causes us to know him, causes our hearts/ internal souls to cry out “Abba Father,” and brings our prayer to God the Father. The Spirit speaks in Scripture, brings that scripture home to our intellect, will, and then finally to our emotions. Subjective experience needs to be driven out of the church like a demon before the Son of Man by testifying to the objective persona and work of Christ. The problem has been the church assuming emotional responses are the true test of spiritual sincerity and that they are fueled by internal subjective contemplation. Whereas, the Biblical pattern moves from the outside in. External word, by external Spirit speaks internally to us, to convince the mind and will to embrace the text, and then emotional reactions ensue (come what may). If we don’t do this we miss out on growing in the knowledge of God our savior and his Gospel. If it is assumed that the emotional feeling of bliss in the Lord is the end all and bee all, the proof of true spirituality, then the testimony and it’s emotions are very effective and welcome. Actually, however, the Biblical experience is that true doctrine makes us uncomfortable. 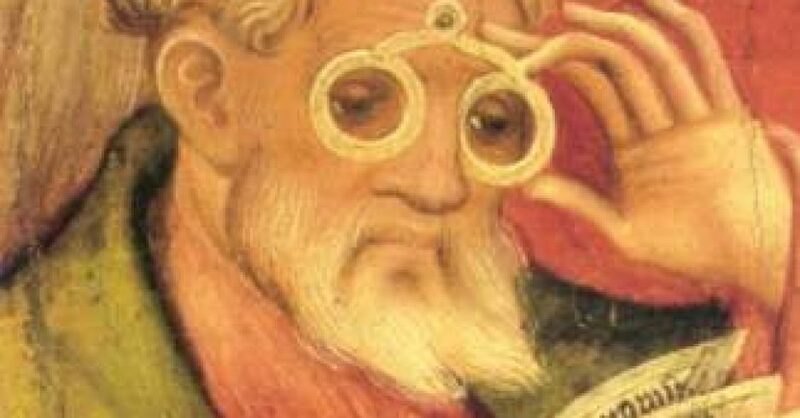 In Berea, the Jews had to search the scriptures to see if this new thing they were hearing was true. Synagogue after synagogue in which Paul and Barnabas preached divided over the new (though not so new) teaching. This is normal. Negative emotions are normal to Spiritual growth and understanding. Many talk about the joy they have, but neglect how when they first hear a truth from scripture they hate it! They reject negative emotions. The natural reaction to religion is discomfort, the natural reaction to Christianity is discomfort. The spirit breaks through the disagreement and cause one to confess the truth. Still, if we have no place for discomfort, we have no place for growth. Perhaps we also have no place for the testimony to the Christ. We do need to make that happen. Where and when are we getting a beer by the way? I’m OK with asking ministry candidates or prospective new church members how they came to faith (i.e. the story of their conversion), but at the end of the day what we are really to be looking for is confession/profession of faith, not subjective personal experience. So, my argument is with the old school though that these questions are illegitimate because the only answer acceptable to the question of how did one come to faith is the answer: through the church’s ministry and today I believe and embrace the benefits of Christ. It’s valid (as on the floor of Presbytery when we were taken under care as candidates for gospel ministry) to inquire as to how one came to faith in Christ. But you’re right that in many cases one’s testimony ends up being largely about the person himself, rather than about Christ. Personal testimonies are not the same thing as the gospel. And so giving one’s testimony, strictly speaking, is often not the same as evangelism. Sometimes it’s not even close.